Much like a car that has been sitting idle in a driveway for four, long, freezing cold months, sprinkler systems also benefit from a tune-up before they get back to work keeping the lawn and garden healthy and beautiful throughout the summer. In fact, a few simple steps before turning on automatic lawn sprinkler systems will go a long way towards saving water, money and preventing a mid-summer landscape catastrophe. Here are a few tips from the experts from Low Cost Sprinklers to make sure the best sprinkler designed and serviced is ready for another season of intelligent watering. STEP ONE - Before turning on any water to the system, make sure all manual drain valves are returned to the "closed" position. STEP TWO - Open the system main water valve slowly to allow pipes to fill with water gradually. If these valves are opened too quickly, sprinkler main lines are subjected to high surge pressures, uncontrolled flow and water hammer. STEP THREE - Verify the proper operation of each irrigation zone valve by manually activating it from the controller. STEP FOUR - Walk through each station on the sprinkler system controller, checking for proper operation of the irrigation zone. Check for proper operating pressure (low pressure indicates a line break or missing sprinkler), proper rotation and adjustment of sprinkler heads, and adequate coverage. Check and clean filters on poorly performing sprinklers. Adjust heads to grade as necessary. 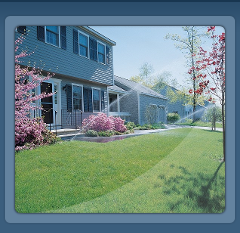 STEP FIVE - Reprogram the controller for automatic lawn, shrub, and watering of flowers . 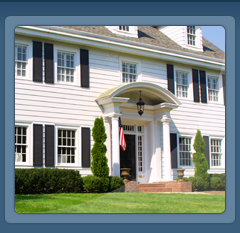 Replace the sprinkler system controller back-up battery if necessary. STEP SIX - Uncover and clean the system rain sensor, if applicable. STEP SEVEN - Finish and clean any in-line filters for drip irrigation zones. 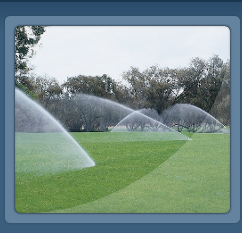 If your existing lawn and garden sprinkler systems need the very best lawn sprinklers then please call us today. 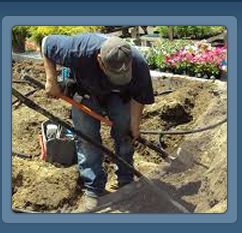 We can provide every service necessary to your lawn sprinkler system.